More than a third of brokers now are generating most of their business through schemes, according to a new survey conducted by underwriting agency UK General. The study, which polled more than 200 general insurance brokers between 27 March and 3 April this year, found that 37% of brokers are now getting more than 60% of their gross written premium through schemes. This is a 16% increase on the 2014 number. The survey also found that 98.5% of the brokers polled are planning to increase their involvement in schemes in the coming five years, with 38% predicting a “substantial increase”. Overall, the proportion of brokers trading schemes now exceeds 70% – a 6% year-on-year increase. 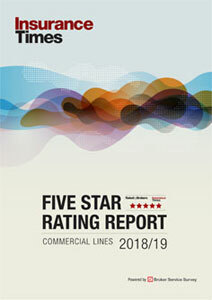 UK General personal lines managing director Karen Beales said: “The significant growth in broker schemes activity, as highlighted in this year’s survey, suggests that brokers are increasingly plugging in to the advantages of offering products that appeal to well-defined and distinct customer groups. UK General’s survey revealed changes to the way brokers are doing business. It found that the number of brokers now transacting business through their own websites has increased by 35%, now totalling 60% of those surveyed. UK General said brokers’ development of their online channel reflects customer demand. The 2015 survey found that customers’ need for “ease of access and purchase” increasing by 7% compared with 2014. 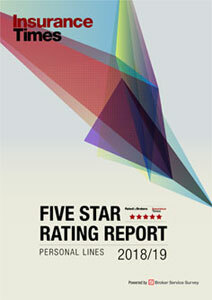 In addition, 72% of brokers are now interested in trading personal lines products online, up 16% on 2014. Although face-to-face and telephone contact remain important, brokers polled in the 2015 survey said their importance fell by 9% and 12% respectively. The survey also highlighted some threats to business. Equal numbers (50%) cited regulatory compliance and niche products being accessed by aggregators as the biggest threats. Some 47% of brokers mentioned increased competition as a threat, and 33% mentioned new market entrants.